Abstract: Of late years, more people have participated into the outdoor activities. Traditional helmets have no place in current era of Internet. 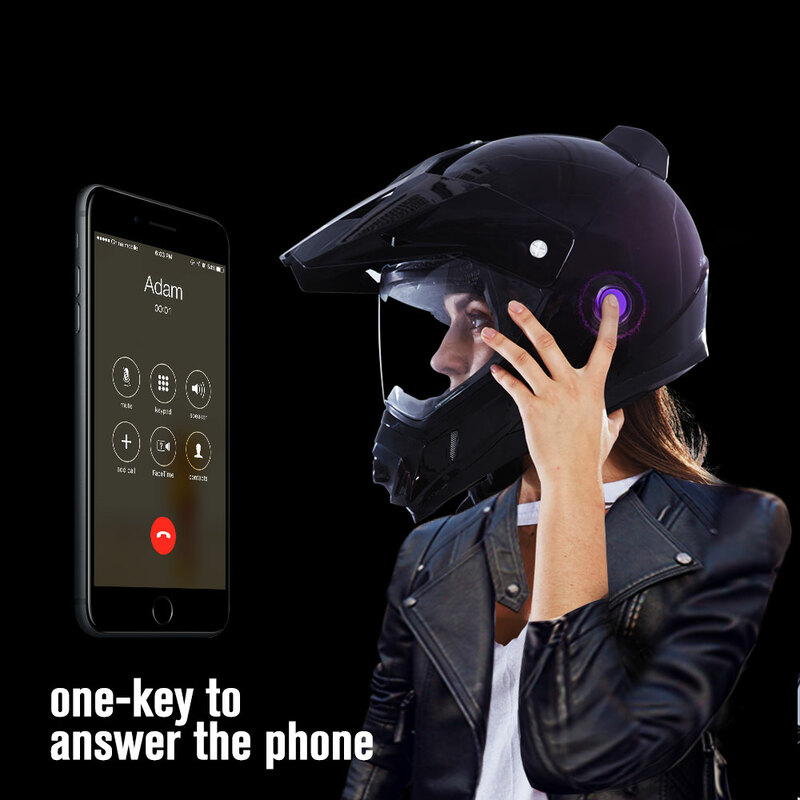 Instead, C8 smart motorcycle helmet caters to the trend. Kill two birds with one stone—keep riders safe and keep riding exciting. With the development situation of commuting or outdoor sports' equipment, Airwheel makes a decision for serving intelligent products to outdoor sportsmen. Taking part in outdoor activities is helpful for strengthening our body and facilitating the harmonious relationship between nature and us human beings. More or less there will be inevitably some dangers or incidents happening. Considering this, a helmet will be essential. The C8 smart helmet is designed for them. Now, there are two colours available, simple white and classic black. C8 has achieved great success relying on the support and encourage of its users. C8 racing helmet's material is carefully selected and is precise modelling. Each value is based on the precise control of ergonomics. Any fine adjustment counts. It can be adjusted to different positions independently from the face shield and chin bar. C8 also features a closable air vent in the chin bar to ensure that riders get enough air as the ride intensifies, while a removable and washable filter will help clean the air in dirty and dusty conditions. The combination of multipath channels in the EPS foam liner and the head/chin/mouth ventilation ensures that fresh air is distributed effectively over the entire head area. Moreover, its powerful protection can prevent the dust and debris into the eyes and nose, to create a more comfortable cool ride environment. 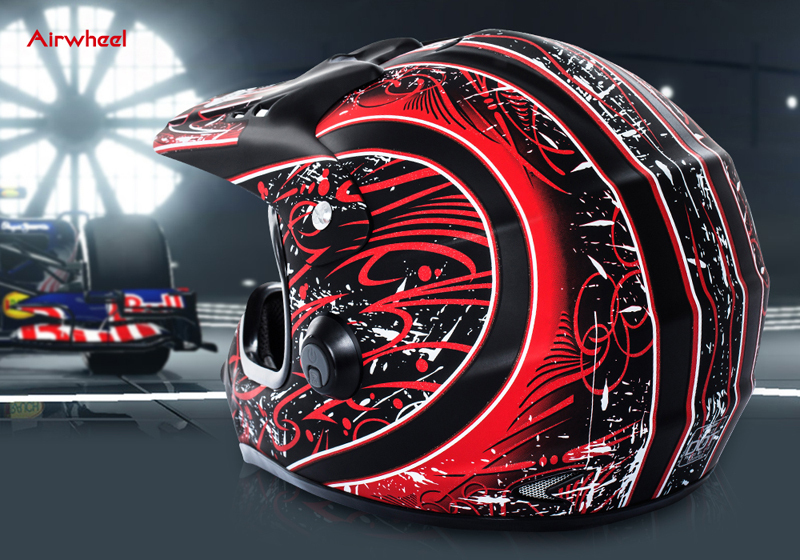 What are the smart features of Airwheel C8 cool motorcycle helmet? One key answer phone, 2K video shooting, and App connection. In addition to the strong protection function, C8 installs a HD camera, which is able to restore every wonderful moment. With the reliable battery, it realizes long-time shooting. And the Bluetooth speaker with stunning tone quality, which lets you enjoy a clear sound and a safe ride. There is an exclusive smartphone App for C8 smart helmet camera making all the operation simpers. Please check out http://www.airwheel.net/home/product/c8 for more information.